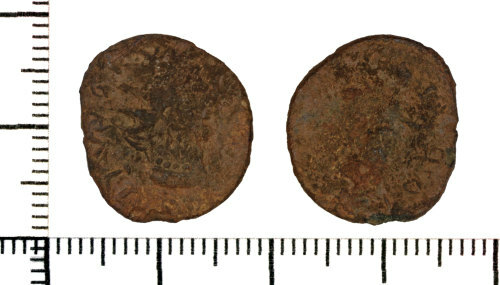 A copper alloy barbarous radiate copying a prototype of Gallienus and dating to AD 275-285 (Reece period 14). Illegible reverse. Obverse description: Head, right, radiate, long neck with row of pellets at base. Reverse description: Figure advancing left with branch.